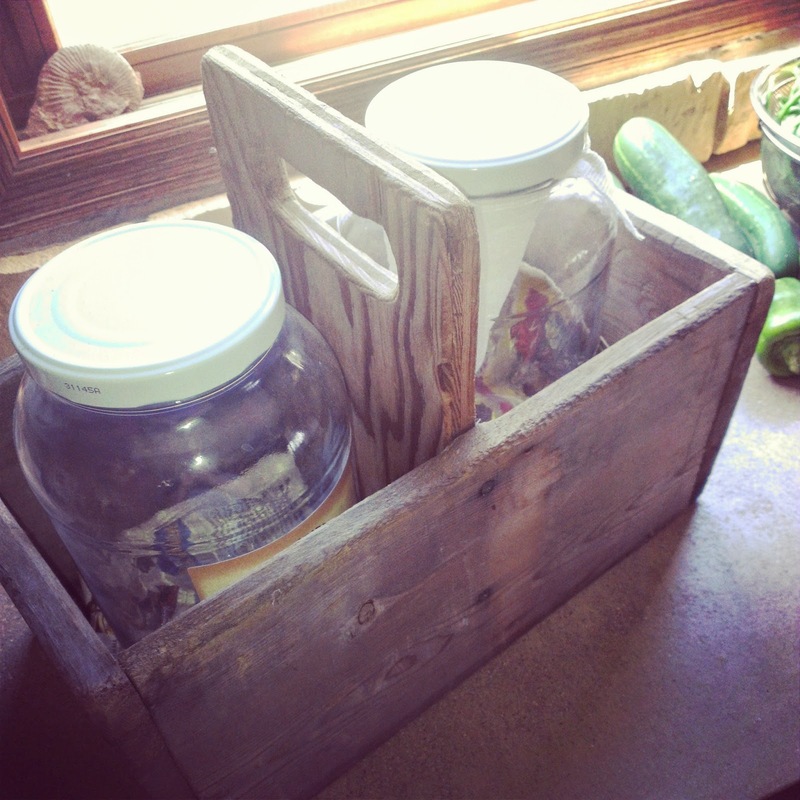 One of my milk customers brought over some of his nifty, homemade milk jar carriers. If you have ever tried to keep large jars of milk upright in a vehicle, you will understand why a carrier is needed. 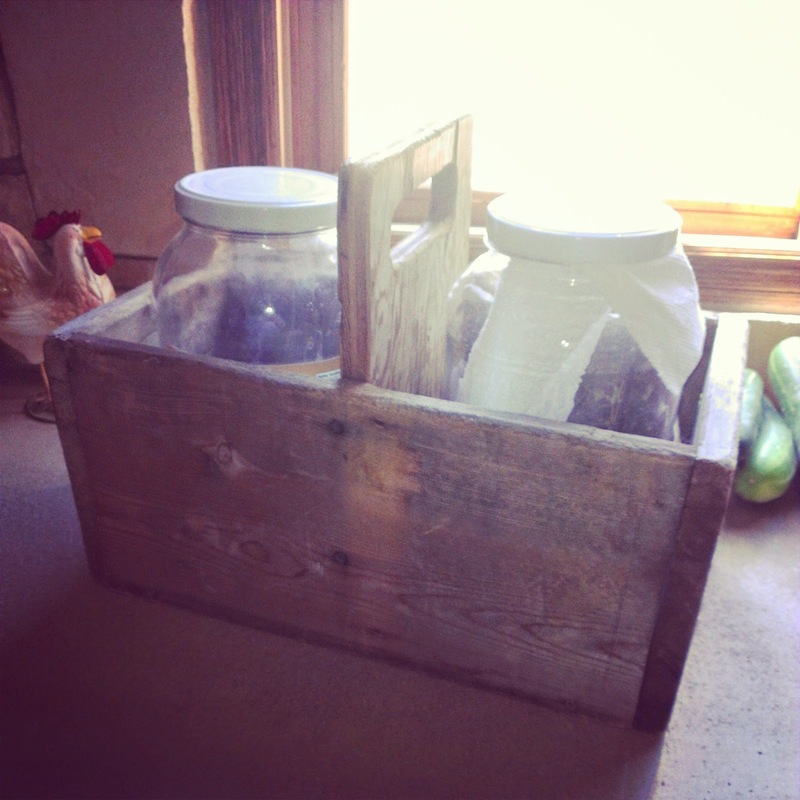 When not in use, I keep it out where we can enjoy it's worn, rustic look. I would love to have one to accommodate 4 half gallon jars. We used to buy raw milk from our neighbor when the kids were all at home... years ago, and just getting it the mile down the road back home to safety...was no easy task. I darling crate like this would have been helpful.